The accelerator cable has sheared right through. 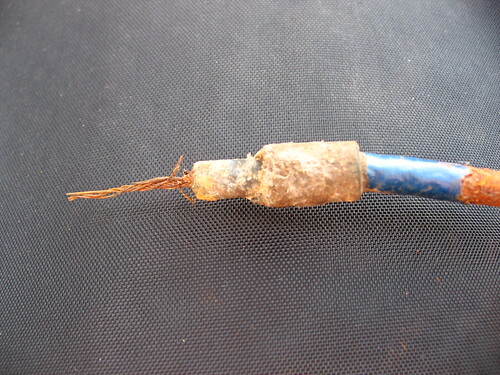 After a bit of investigation, it looks like the guide which took it through the bodywork had totally rusted away, allowing the cable to rub on the metal until it snapped. I got a replacement cable and guide, but strangely there was no way the cable would fit through the guide due to the soldered ends. In the end I had to put a temporary guide together using some washers.